Many people believe eating healthily is about dieting or eating less. In fact, it’s simply a case of eating more of what your body needs and less of what it doesn’t – what we call a balanced diet. That doesn’t have to mean boring or tasteless food though – and you can still snack on healthier alternatives, such as fruit, raw vegetables, rice cakes and fat-free yogurts. The Eatwell Guide illustrates the proportion that each food group should make up in a healthy overall diet. It’s not necessary to achieve this at every meal, but you should aim to do so over the period of a day or even a week. Click on each section of the guide to find out more about each food group and its benefits. The Eatwell Guide applies to most people regardless of weight, dietary restrictions/preferences or ethnic origin. However, it doesn’t apply to children aged under 2 years because they have different nutritional needs. 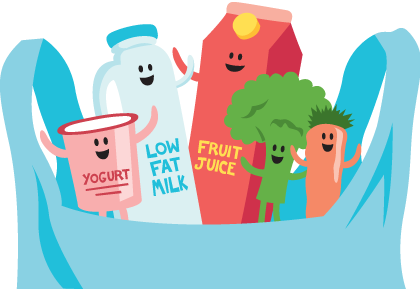 Between the ages of 2 and 5 years, children should gradually progress to eating the same foods as the rest of the family, in the proportions shown in the Eatwell Guide. Anyone with special dietary requirements or medical needs may want to check with a registered dietitian on how to adapt the Eatwell Guide to their individual needs. To get further information and download the full Eatwell Guide (PDF), click here. While salt is not featured on the Eatwell Plate, it’s still really important to stay aware of how much salt is in the food you eat (adults should aim to keep it to 6g a day or less - this is about a level teaspoon; children should have even less). Eating too much salt can raise your blood pressure and that can lead to an increased risk of coronary heart disease and stroke. Food labels often show the amount of sodium in a food. To convert this to salt, you need to multiply the amount by 2.5. For instance: ½ can chicken soup contains 800 micrograms of sodium, which is 2g salt – that’s a third of an adult’s daily maximum! Keeping our bodies well hydrated is really important for our general health. Adults should aim to drink around 1.5 – 2 litres of fluid each day (between 6–8 mugs/glasses of fluid). 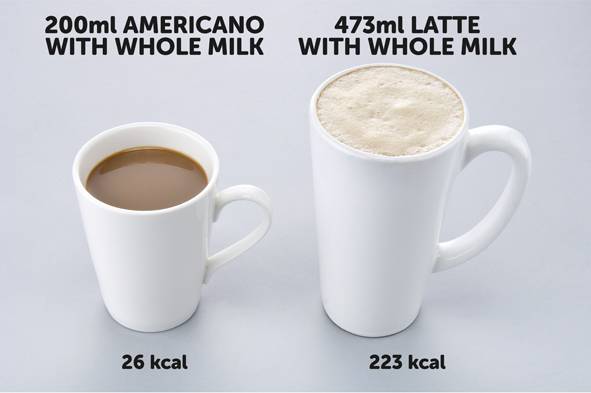 The best choices are water, lower fat milk, and sugar free drinks including tea and coffee. 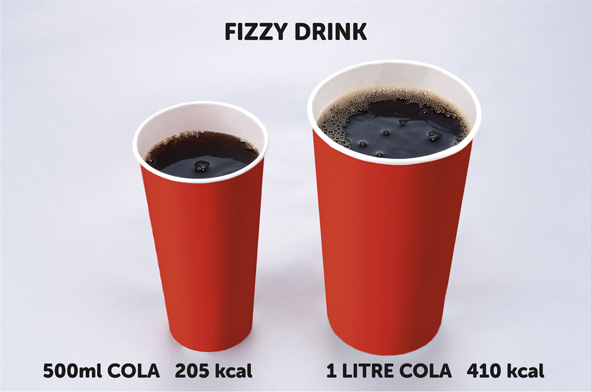 A can of soft drink such as fizzy orange or cola can have up to 8 teaspoons of sugar in it so it’s best to avoid these. Diet drinks and sugar-free squashes are a better alternative. Fruit juice and smoothies count towards your total fluid intake, but remember these should be limited to 150ml each day because of their high sugar content. Energy drinks often contain high levels of caffeine and are often high in sugar (calories). They may also contain other stimulants, and sometimes vitamins and minerals or herbal substances. They are not suitable for children and consumption should be limited in adults. Sports drinks can be useful for those involved in high-level endurance sports. For most people, water or milk is the healthier choice and the best way to replace fluids lost through exercise. Sports drinks are no different from any other sugary soft drinks, which mean they're high in calories and contribute to tooth decay. Keep a check on the amount of fat, salt and sugars that you're eating. Colour coding tells you at a glance if the food has high, medium or low amounts of fat, salt and sugars. 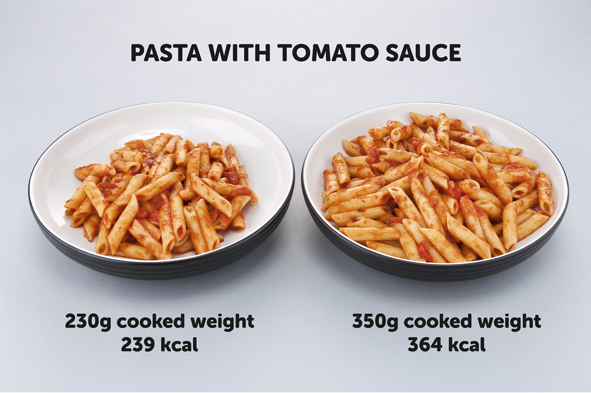 When food-shopping compare the information on the labels and choose the products with less fat, salt or sugar per portion. You can also do this if you shop online. Eating on the go? It’s now easier to check how many calories are in your food when eating out in Northern Ireland. Some eateries are now showing calorie information on menus and displays to help you make healthier choices. Another way to judge how much fat or sugar is in packaged food is to look at the 'ingredients' list. The further down the list it is, the less it contains. Use the ‘high/low’ guide below to get an idea of what’s high in fat and sugar – why not write it down and take it shopping with you? 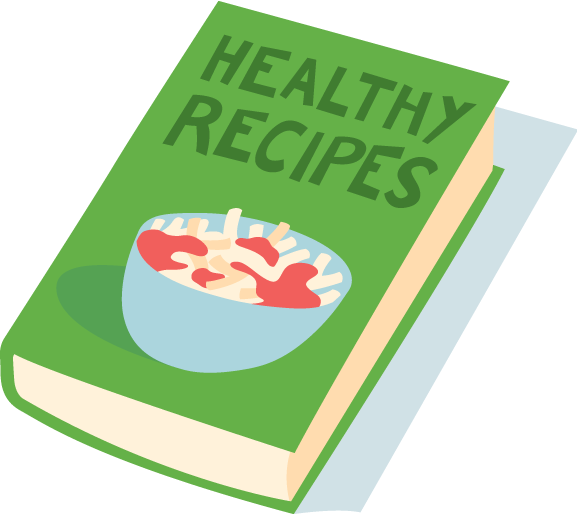 All of the big supermarkets and many food manufacturers display nutritional information on the front of pre-packed food. 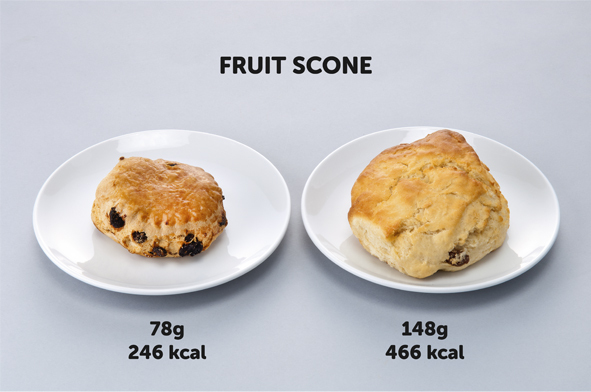 This is very useful when you want to compare different food products at a glance. Many are now beginning to use a combination of colour coding and Daily Reference Intakes (RIs), formerly known as guideline daily amounts (GDAs). The more greens, the healthier the choice. Red means the food is high in a particular nutrient and these are the foods you should eat less often and in small amounts. Formerly known as Guideline Daily Amounts (GDAs), Daily Reference Intakes are guidelines on the nutrients and calories required for a healthy diet. We’re all different, so RIs are not intended as targets. Instead they give a useful indication of how a particular nutrient or amount of energy fits into your daily diet. It’s easy to put on unwanted weight. 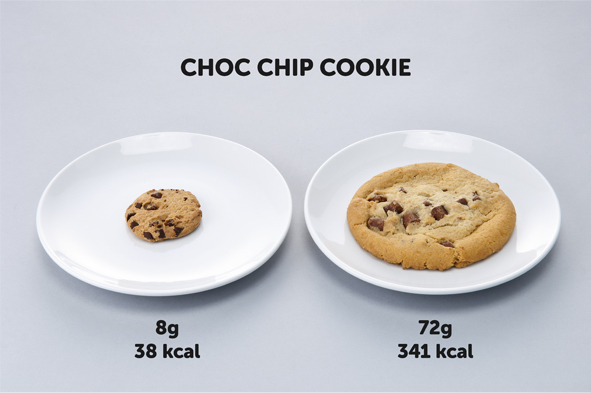 Did you know that if you eat 100 Calories (kcals) more than your body needs each day, after a year you could have put on an extra 10lbs in weight? You probably don’t realise the ‘extras’ you’re eating each day. Those second helpings, nibbles, snacks or leftovers you can’t bear to throw out. But every extra bit that goes in – ends up going on. These values can vary depending on age, metabolism and levels of physical activity, among other things. 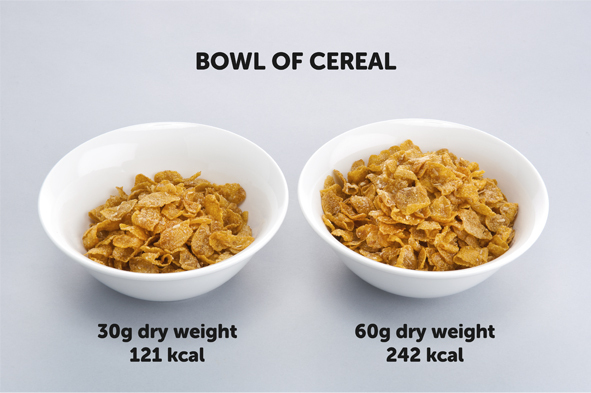 Click here for more information on healthy Calorie intake. All the extras you’re not aware of add up. The extra weight means your body will need to work harder just to carry the weight around – your heart needs to work harder and you’re more likely to be out of breath. An extra 10lbs is like carrying around 10 big blocks of butter as you go about your daily life! But the good news is that it’s possible to do something about it. If you stop eating those extra Calories, you can immediately stop any further weight gain – and that’s a great first step! Then you can set other small goals to eat less and be more active, which will help you lose weight, so you will look and feel better. And it will have a major impact on your health too! The best way to lose weight (and keep it off) is to make small, long-term changes to what you eat and drink, and to be more active every day. Set yourself realistic and achievable targets for healthier eating and drinking and being more active. 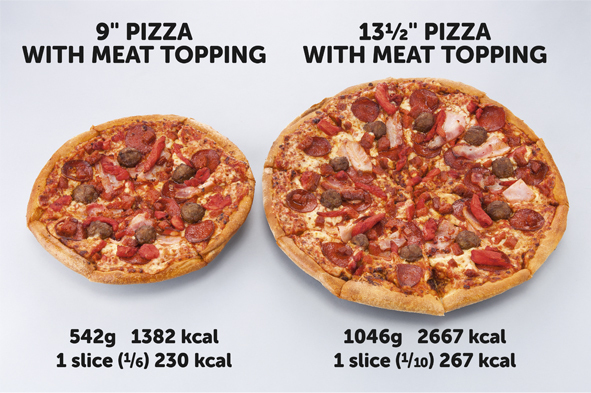 Thinking about your portion sizes doesn’t mean you need to eat tiny amounts of everything or measure exactly what’s on your plate. Eat regularly – three meals each day, ie. breakfast, lunch and evening meal. Try to avoid nibbling in-between, but if you’ve got the ‘munchies’, go for ready-prepared vegetable sticks or fruit. Eat slowly, to give your body a chance to tell you it’s satisfied. It takes 20 minutes for your brain to register that you’re full. Eat until you’re no longer hungry, not until you feel full. Use a smaller plate – this can prevent you overfilling a larger plate and help you lose weight. Don’t nibble at leftovers – you can cut down on leftovers by cooking less or using them up in another meal. Check food labels – If you’re not sure how much of a food to eat in one serving, have a look at the food label, which appears on packaged food and drink. Watch out for supersized portions when you’re eating out. 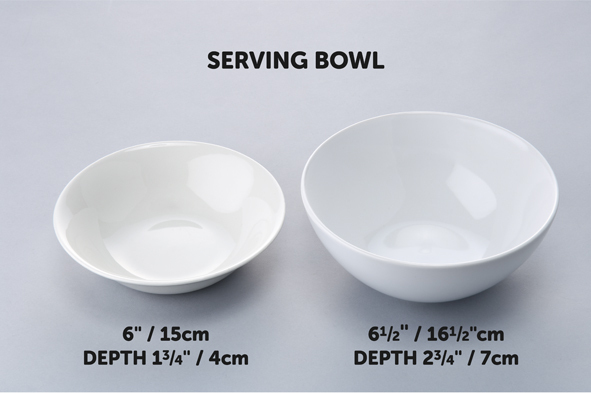 Come up with ways to deal with bigger portions, eg. opt for a starter portion, leave out the chips, don’t force yourself to clear your plate, share a dessert between two or three people. Try to be more active every day and remember, if you slip up one day, don’t dwell on it. Just carry on to the next day with your target in mind. To see if unwanted weight could be putting your health at risk, check your body mass index (BMI) and waist measurement. Lots of food and drink portion sizes have been getting bigger in recent years. Eating bigger portions can lead to serious increases in waistlines and body weight for adults and children. Choosing healthier foods and drinks can make you look and feel better as well as making a big difference to your health. Being more active is also really important. Together these changes can help protect against obesity. This is important as obesity increases the risk of developing major health conditions, including type 2 diabetes, heart disease and some cancers. Remember: Even if you’re eating healthier foods, eating too much will mean you can still put on weight. The Eatwell Guide shows the proportions (amounts) of various foods that make up a healthy, balanced diet. It is designed to help you get a balance over a day or a couple of days and not necessarily at every meal. However, you can still use it to help you make up a meal. Foods and drinks high in fat, salt and sugar should make up a very small proportion of our diet. 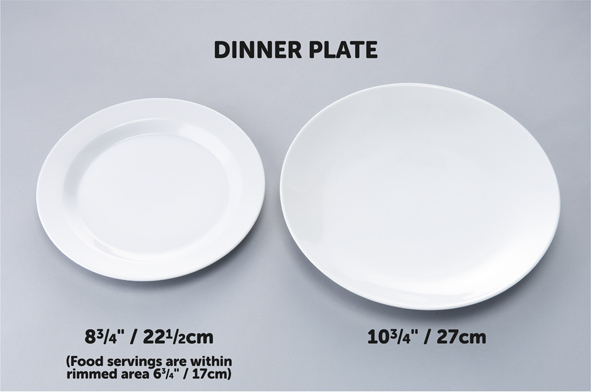 Using a smaller plate can also help control portion sizes. For many people, drinking alcohol is enjoyable and an important part of socialising, but it’s worth remembering that alcohol is high in calories and if is taken frequently and in high amounts it can lead to unwanted weight gain. Weight for weight the alcohol in a drink contains almost as many calories as fat. 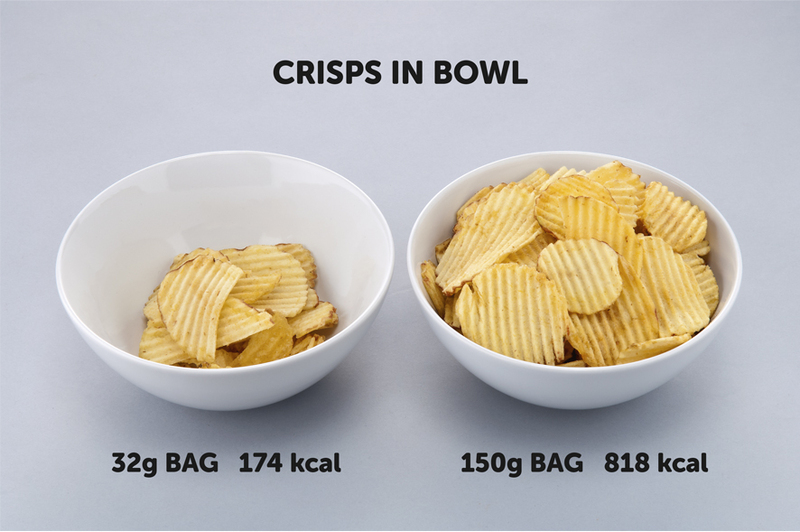 For example, a pint of beer contains as many calories as a small sausage roll and a 175ml glass of white wine as many calories as a small bag of crisps - so the calories in alcohol soon add up. How many calories are in an alcoholic drink?